Get internet customer care number. We provide 24/7 customer support in Gurgaon and NCR. You can do live chatting or send us mail. Always keep your customer ID to help us serve you better. Lighting High Speed Internet is being experienced by the users, Tripleplay provides upto100 Mbps speed in a very low price. Also we have tie-up with TATA as well as BSNL to provide there internet plans to the users through our FTTH network. 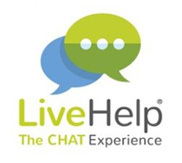 Choose from the below given support topics to find quick answers to your queries.